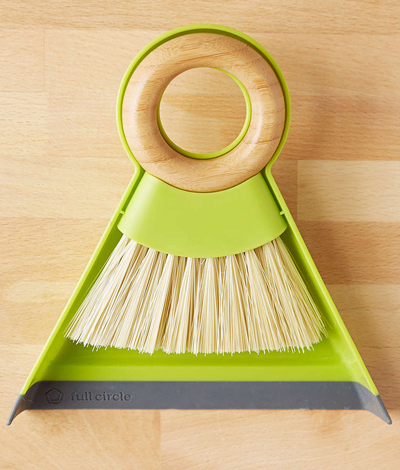 As stylish as it is functional, this handy little Full Circle Mini Dustpan and Brush Set comes complete with a mini brush that keeps things neat + tidy. Crafted from renewable + recycled materials, too! $10. Buy here.